HTC One (E8) is headed to Sprint Wireless in the United States. 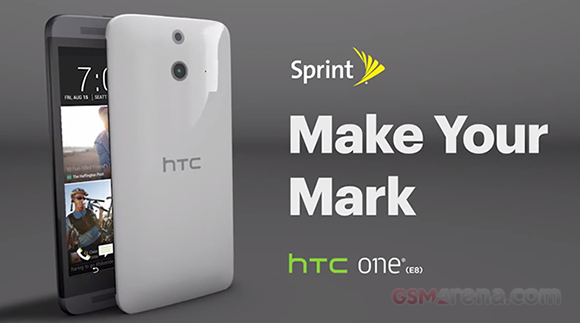 A promo video of the smartphone appeared on the wireless carrier’s official YouTube channel. The appearance of the polycarbonate handset in the United States is quite a surprise. There were no previous indications that the Taiwanese manufacturer will bring the device across the Atlantic. HTC One (E8) packs similar specs to the company’s flagship, the HTC One (M8), but in a more affordable package thanks to the plastic build. You can find out all about the device in our detailed review. There’s no word on the HTC One (E8) launch on Sprint just yet. We doubt it will be a long wait. Well, HTC blew it with the release of this in the US unless its also going to show up on literally any other carrier. No need to have it here since it will be totally locked down. Sure to sell like hot cakes. Best of the bunch.